Gippsland MP Darren Chester says content on an animal rights website was a slur on the good reputation and practices of local farmers. The Federal Member for Gippsland Darren Chester has slammed a website that identifies farms as potential targets for animal rights extremists and gauges volunteers’ willingness to break the law. Racecourses, dairy farms, abattoirs, poultry farms and a fish hatchery in Mr Chester’s electorate of Gippsland are pinpointed on an interactive map on the Aussie Farms website. Mr Chester said the website content was a slur on the good reputation and practices of local farmers. “There are a large number of farms right across Gippsland and, fortunately, only a small number are included on the map so far. But it is highly distressing for those who have been listed as their inclusion implies they abuse and exploit their animals,” Mr Chester said. “This cannot be further from the truth. Farmers work tirelessly to ensure their animals are cared for and in good condition. “The website claims it is an effort to force transparency on the agriculture industry, but anyone can log into this website, upload misleading information and make outlandish claims about a farming operation. The website asks potential volunteers whether they are willing to enter private commercial premises ‘for investigative purposes’ or chain themselves inside an abattoir. It also gauges their preparedness to be fined or arrested. 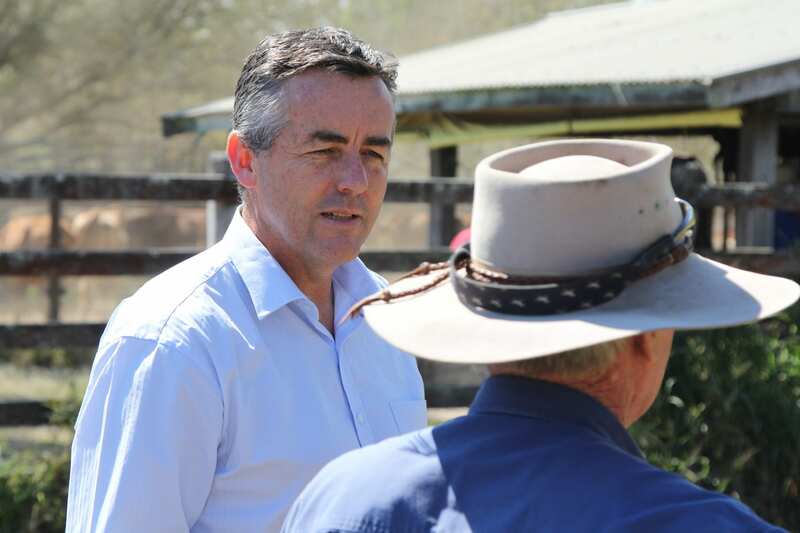 Federal Minister for Agriculture David Littleproud has called on state governments to review and strengthen trespass laws. While preliminary advice indicates there is little the Federal Government can do to prevent the publication of personal addresses online, state governments can adjust trespass and other criminal laws as they see fit. “State governments need to make sure trespass laws carry huge penalties. A big deterrent is required here,” Mr Littleproud said. “It’s not ok to go breaking into people’s businesses or homes.